Lawmakers in Spain's northern Cantabria region unanimously voted on Monday (8 April) to ban hydraulic fracturing on environmental concerns, shooting down the central government's hopes for a project to boost jobs in a region believed to be rich in shale gas. Spain, battling a deep recession and high unemployment, imports about 76% of its energy needs and the technology to extract shale gas, known as fracking, could help relieve its foreign dependence on oil, coal and gas. Early estimates indicate Spain has large shale gas reserves, but environmentalists have voiced concerns over the safety of the technique, which involves injecting water and chemicals at high pressure into underground rock formations. Cantabria's ruling People's Party (PP), which has an absolute majority in the regional parliament, proposed the law to ban the practice. The bill passed with support from all political parties in the Cantabrian parliament on Monday afternoon. The Cantabrian parliament said on its Twitter feed: "Unanimous. Law to ban hydraulic fracturing approved." "In Cantabria, there is a very large social movement against fracking … the bill will be passed unanimously by the three parliamentary groups. The region is very small and highly populated," a PP source told Reuters earlier on Monday. However, at a national level, the PP has voiced support for hydraulic fracturing as long as it complies with environmental rules. The ruling PP, which controls the Spanish parliament, could seek to appeal or overturn Cantabria's ban. Experts say if it is done according to best practice it is environmentally safe, but the technology still evokes much public concern, especially in Europe. In the United States, shale gas has helped transform the energy market by lowering gas and coal prices, which are in turn helping to lure gas-intensive industries such as petrochemicals back to home soil thanks to the abundance of low-cost energy. But in Europe, it has made far slower progress and has met with environmental concerns that have triggered bans on fracking in France and Bulgaria. 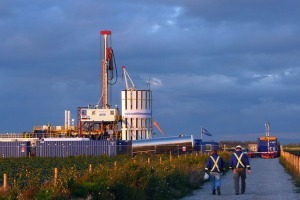 Shale Gas Europe, a lobby group, says Spanish shale gas reserves are among the biggest in the world. "Spain's significant reserves, if technically recoverable, will transform its economy at a time when the country is struggling with a burgeoning debt and has been forced to adopt austerity measures," the group says. Although there are no reliable data available, some analysts say Spain's shale gas reserves could be as high as 1.4 trillion cubic metres, enough to cover European Union demand for around three years. Early estimates have, however, proven unreliable in other cases. Poland, which had hoped to be sitting in some of Europe's biggest reserves, had to slash its initial estimates by 90% last year after detailed follow-up surveys and drillings disappointed. Shale gas is an 'unconventional' fossil fuel that is found within natural fissures and fractures underground. Until recently, no method of safely transporting it to the surface existed. It is mined via hydraulic fracturing, or ‘fracking’, the process of breaking apart layers of shale by pumping liquids and a number of chemical additives under high pressure thereby releasing trapped gas reserves. While energy companies believe they have found a part of the answer to Europe's energy security problems, the method remains intensely controversial because of its possible environmental risks, including poisoning groundwater and higher greenhouse gas emissions than traditional gas. To proponents, shale gas represents a hitherto untapped and welcome alternative energy source to traditional fossil fuels. At the moment the continent depends on gas imported from Russia, and disputes between that country and Ukraine have disrupted winter supplies in recent years. Excellent news. The list of bans and moratoria are growing worldwide. We are winning the war and will win the war against this ecocidal madness! Many mention the effects of shale gas development on water, but one of the more serious and commonplace impacts is degradation of air quality. We have quite a few studies highlighting these risks. 1. A study by the University of Colorado Denver School of Public Health showed that people living within a half-mile of oil- and gas-well fracking operations were exposed to air pollutants five times above a federal hazard standard. 2. A study by researchers at the University of Colorado Boulder’s Cooperative Institute for Research in Environmental Sciences (CIRES) found Emissions from oil and natural gas operations account for more than half of the pollutants – such as propane and – that contribute to ozone formation in Erie, Colorado. 3. A study in the journal Human and Ecological Risk Assessment showed more than 50 NMHCs were found near gas wells in rural Colorado, including 35 that affect the brain and nervous system. Some were detected at levels high enough to potentially harm children who are exposed to them before birth. I can understand the Spanish government interest in Fracking for shale gas . Like impoverished parents putting their daughters into prostitution to pay off family debts . One only has to see the result of Fracking in the United States and the irreparable environmental damage it has done. heaven forbid that their is ever fracking in Europe .